Home » Goodbye Summer 2018! It’s hard to believe the summer has flown by so fast, and that Manitou 2018 has wrapped up. After World Games finished—congrats to Team Scotland!—we all packed up and got ready to head home. But before we all got on the busses, we had two amazing banquets to send off an amazing summer. First we had our Staff Banquet, and the final night for staff is as emotional as it is for the campers. After a wonderful staff slideshow, we had five staff speak to the entire group about their camp experience. There were new staff, returning staff, counsellors, and head staff, and the range of stories and lessons were valuable for everyone to hear! Here are some of the beautiful thoughts from that staff banquet from our unique and special staff members! “Each year at Manitou is special and memorable due to the friendships and memories we make. However, this year is different. Not only did I make memories with my friends, I also made memories with my campers that I know none of us will forget. Prior to meeting my campers, I honestly didn’t realize how much I would come to love them, laugh with them, and how much fun we would have as a cabin. I remember talking to my two best counsellors during pre-camp– Adam Dennis and Gorlick – and I asked them, ‘How are you so great, how did you make every moment so fun?’ They responded with a simple answer, ‘You have to be a smart idiot.’ This means you joke around, but you still show your charismatic tendencies in the right way. I started the summer with a cabin that was not together, and I wanted these boys to realize that that to make this the best summer ever, they would have to have each other’s backs, and not bring each other down. I kept tossing up a common theme of being united as a cabin, and I got the campers to throw their hand in the middle so I could say a pregame speech and a cheer on 3. I remember after an Evening Program there was a ton of garbage to be picked up but no other cabin was around to clean up and I said, “Alright we are a cabin and here is the plan, we are going to break from this huddle in 20 seconds and pick up all the garbage, and then play basketball.” Picking up garbage, especially of other kids, was the last thing they wanted to do but they did it. It’s moments like these I will remember because in that huddle I looked around the circle and I saw a smile on everyone’s face. I never knew people would be so happy picking up garbage and they were laughing and loving it because it was about doing it together. The ups the downs have shaped who we are today and gave us the tools on how to be better in the future. I remember in pre-camp being told to give the campers the best summer ever but I was never told it would be so easy if you yourself were also able to have the best summer ever. “As you know, Sandy puts on amazing plays, but more importantly when you are in a play in the Theatre, the entire group becomes so close and they love putting on the play.It becomes a mini Manitou family like no other, and Sandy is so incredible at creating that positive atmosphere. The support of each other is paramount to every production. Sandy works so hard but he cares so much. Who else would come to you and say I want to put on our theatre show in town for the parents. To spend that much work to prepare for that in the Fall is simply beyond what any person would do. This has allowed our parents to understand the magic of camp by bringing them the plays to Toronto while allowing us to raise money for our charity of the year. Mark and Jeff then spoke, as they always do, at the closing of our Staff Banquet. It’s a great tradition to end off the summer, for the staff to hear from our two fearless leaders, and they always give some final words of wisdom. Here are some of the things they left us with this summer. “Once again, the gigantic power of human connection in a world that sometimes forgets that real honest relationships have the power to change the world played itself out these past eight weeks here at camp. One thing that always resonates for me more than ever is the long time campers that I have met as adults on staff who all share a bond and loyalty to their childhood camp friends. And I think this comes out of spending so much time together in a place where they had to figure things out, sometimes things that were hard like homesickness or learning a skill or figuring out relationship building. Adversity creates bonds that are irreplaceable, and being away from the typical supports allows for growth in a way that few things can. We have felt the community and support this summer like I have never felt it before. It’s simply been inspiring. “If you would have told me in late May I would be standing here once again at the end of the summer saying it has been another best summer ever, I honestly would not have believed it. Don’t get me wrong, I knew it would be great, but we entered this summer in uncharted territory -both emotionally and logistically. As I have said all summer we lost a saint, and the truth is we knew we could never replace Dave. But we have learned that if you take a group of 200 of the finest staff and ask them to step up, you can ensure that our Manitou family will remain strong forever. You did just that. It was as if each one of you did your extra ten per cent and worked together so well, allowing us to fill a hole that literally was overflowing with your goodness all summer long. Camp is the best job in the world not only because we change kids for the better and make them so happy , but maybe more importantly it shows us that in the right environment people are truly good and that love, empathy, compassion and kindness really do flourish in a healthy community. Chris came up to me many times this summer saying, “This is just the kindest staff. There are no bad apples.” If I had to think of the theme of this summer, it was just that: the staff’s positive energy and kindness. Not just the majority of you, but the entire staff, all summer long. It was your positivity that allowed us to honor Dave this summer and ensure ever single camper had the best summer possible. This summer has been once again so successful because you all understood what you had to do. There was no complaining about anything this summer, and your attitude was beyond expectation. Your positivity allowed the campers to flourish and be so positive themselves. You are an example for everyone in this world because you have shown that, as corny as it sounds, love, community, compassion, and gratitude truly does allow you to get through the tough times and still in the end be so grateful for what we have. A defining moment was when one of our amazing C.I.T.s got up and spoke at Fireside. His words were poetic and they remind us all that Manitou is a place where we realize that our lives are enriched not only by our wonderful typical friends but by people that are truly special. And it’s those friends and relationships that we would not normally befriend that defines a healthy camp experience. This camper reminds us like so many campers and staff here that you can love people even if they are out of the box or out of your box, and you can often learn the most from those people, allowing us to lead more fulfilling lives. All of our Staff then lit our candles, and it was a perfect ending to a great summer. But it’s not just our Staff that have the chance to speak at the end of our summer! After hearing from some staff at the staff banquet, we then get to see Mark and Jeff present some honours, and then hear from campers that speak on the last night of camp, just before the flag is lowered. First, we presented 15 year gifts and made wonderful speeches about our head of maintenance Glen Crossman, our doctor and his wife Jeremy and Shelley Friedman, and finally honoured Avery Gales, our longtime camper and current Head of Wakeboard/Waterski. Then directors Jen and Chris surprised Mark and Jeff with a 20 year tribute to the camp and to them. We ended with a Manitou original, “Three Days and Counting,” and there was not a dry eye in the house, as everyone sang together. It’s so nice to know our campers get what really counts and the true meaning of camp. As you can see, it’s been another incredible, inspiring, emotional, and fun summer here at Manitou. 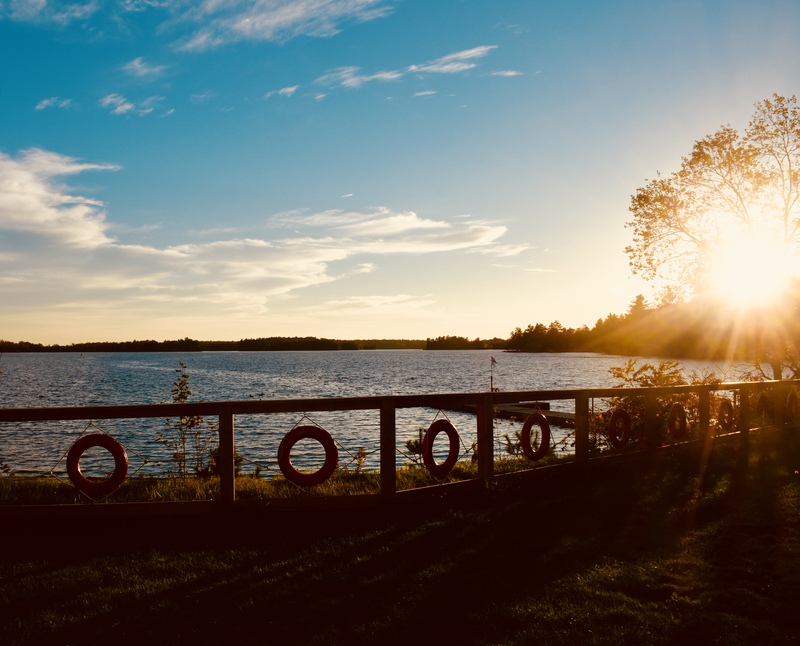 A huge thank you to all of the campers and staff for making it another Best Summer Ever, and I know I’m not the only one counting down the days until Summer 2019!